A cute design bracelet with multicoloured beads and a pearl style bead band. This beautiful bracelet is the perfect accessory. These beautiful bracelets can be worn together as a set or separately. 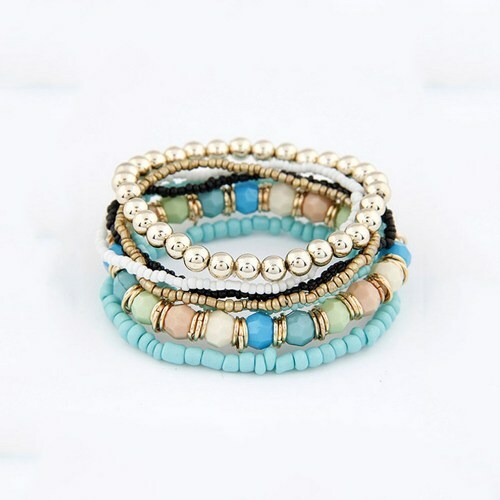 The bracelets are made using various beads to create a light blue set. The beads are held by strong elastic which enable you to easily remove and wear.